Welcome to the Cobblestone Inn & Suites in Kersey, Colorado. 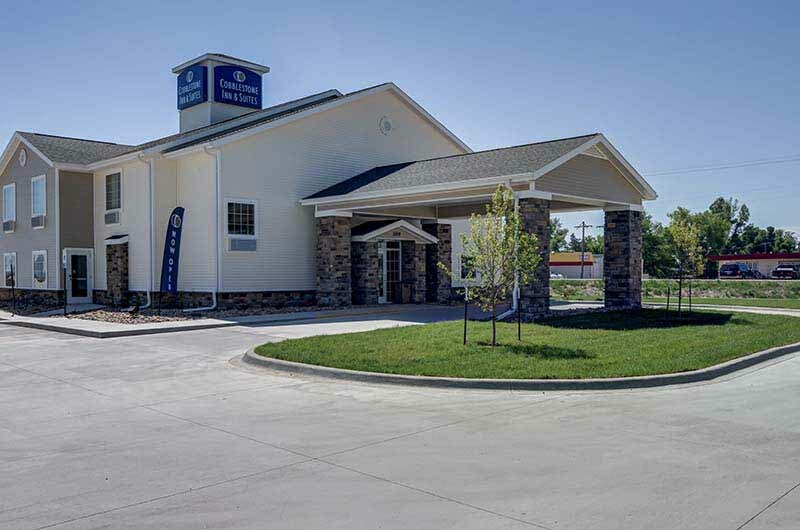 Our beautiful hotel is conveniently located near everything that Kersey, Colorado has to offer including its proximity to University of Northern Colorado and Colorado State University. Our hotel provides easy access for traveling to and from U.S. Highway 34. Located north of Interstate 76 off of U.S. Highway 34 on Hill Street, our hotel is within 10 miles of Greeley, Colorado. In town for business? The Cobblestone Inn & Suites of Kersey, Colorado offers easy access to JBS Five Rivers Cattle Feeding, Steving Meat Processing, P Diamond Irrigation and much more! In town for some fun? Check out Kersey Pizza and Kersey Café.